As we discuss in "Using a password manager effectively," for most people, it's worth using a password manager that has a browser extension for all the browsers you use. Browser extensions are a little bit less secure than desktop apps, because they're more exposed to attacks from the web. However, desktop apps often want you to copy/paste passwords, which is risky and makes you vulnerable to phishing attacks, and they're also also less convenient than an extension, which means you're less likely to actually use your password manager consistently. Most password managers have browser extensions for all the major browsers as well as apps for the major mobile platforms. Recent versions of both Android and iOS allow you to configure a password manager app for use throughout the OS, so you can use the password manager inside your mobile browser as well as for other apps (banking, travel, etc.) you need to log into. Just about all password managers offer offline access - if you're disconnected from the internet, or if the password manager's service is down or the company goes out of business, you'll still have access to your passwords where the app was previously installed. In some cases, two-factor authentication or emergency access requires the password manager's cloud service to be operational, so watch out for that. Many password managers allow you to add custom tags or notes to passwords, which is useful for keeping track of whether you have two-factor auth enabled for the website, whether it's an account you're sharing with others (and so you need to manually coordinate changes to the password), etc. Many password managers allow for shared password stores, so if you and your friend / family member / coworker use the same password manager, you can keep accounts in sync automatically. 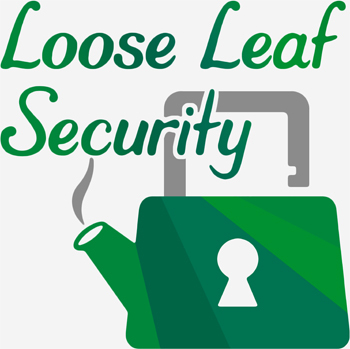 (We use this for the credentials backing the Loose Leaf Security website, our shared social media accounts, etc.) Sometimes this is a premium feature. A few password managers claim to support a limited sharing mode, where you can avoid revealing the password itself to the person you're sharing with: as discussed in the episode "Using a password manager effectively," this isn't a meaningful feature, and so it's not a point in favor. It's important that your password manager's browser extension not offer auto-filling every possible password into a web page, and only offer passwords that you've associated with the web page's origin. Other passwords need to pop out a separate window for access. Otherwise, malicious code within one web page can access other sites' passwords. We'll discuss this in more detail in our upcoming episode on password manager security. Browser extensions: The older extension, which requires the desktop app, supports Chrome, Firefox, Safari, Opera, and Edge. Their newer one, "1Password X", requires current versions of Firefox or Chrome and works without the desktop app (so it works on Linux and on Chromebooks) and opens the web interface in a new tab for more involved tasks. Browser extensions: Chrome (including Chromebooks), Firefox, Internet Explorer, Edge, and Safari. KeePass has been around since 2003, but originally supported Windows only. There was a cross-platform rewrite called KeePassX, which was abandoned in 2016 and is now maintained by another team under the name KeePassXC. It supports all of Windows, macOS, and Linux well (packages are in all major Linux distros). KeePass itself now uses .NET so you could run it with Mono on other OSes, but that's somewhat involved. Keeper doesn't have a free tier; the personal plan is $30/year and the family plan, a bundle of five accounts, is $60/year. Keeper has desktop apps for Windows, macOS, and Linux, as well as a web vault. Mobile apps: iOS and Android. Browser extensions: Chrome, Firefox, Safari, Internet Explorer, and Edge. Sharing:: Unlimited sharing with other Keeper users, either of individual items or folders. Keeper also has a secure messaging product "KeeperChat" for an additional charge, which is basically unknown in the field of secure messengers, has no detailed information on their website, and requires your conversation partner to also be on KeeperChat. Given the number of free, secure, well-documented and popular messaging apps like Signal, it probably makes little sense to use KeeperChat. Another paid add-on is "BreachWatch," which monitors for passwords found in breaches "on the Dark Web."